The Architecture Competition for the Preservation of Spanish Architecture Heritage is a unique and generous initiative from US philanthropist Richard H. Driehaus, considered one of the 25 most influential financiers in the USA. 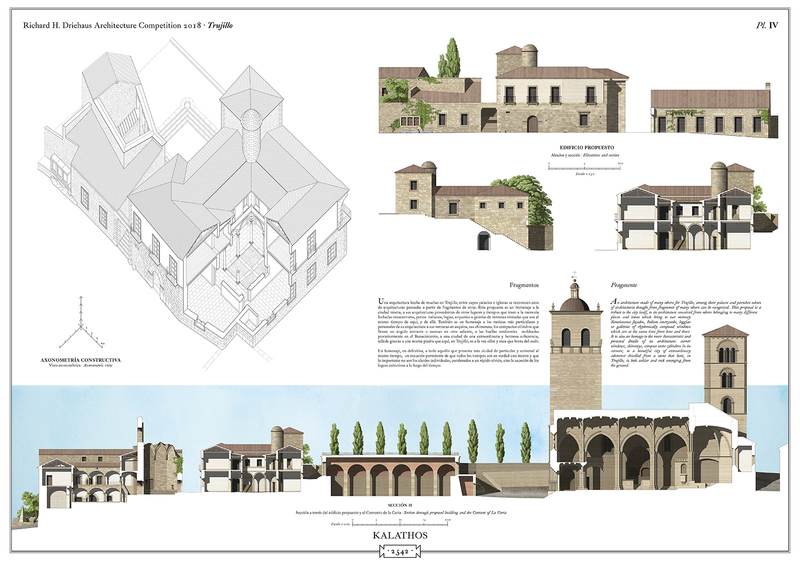 The first phase of the competition, concluded last November, chose four Spanish towns: Borox (Toledo), Trujillo (Cáceres), Baza (Granada) and Jaca (Huesca). In the second phase, 74 architecture national and international firms submitted their design proposals to respond to the needs of these municipalities. Patrick Alles, Matthew Blumenthal and Megan Zhang’s NY-based architecture studio, the architects of Madrid-based architecture firm Estefanía Fernández-Cid, Xavier and Lucia Espinós and Rodrigo Toro, Basque architects Imanol Iparraguirre and Aritz Díez and Seville-based architects Abelardo Linares del Castillo and Elena Jiménez were the winners of the competition; each team received 12,000 Euros. Additionally, nine honorary mentions were given this year, with an award of 2,000 Euros each. 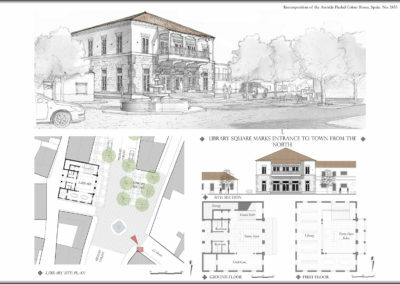 A NY-based architecture studio was the winner for the Borox project. 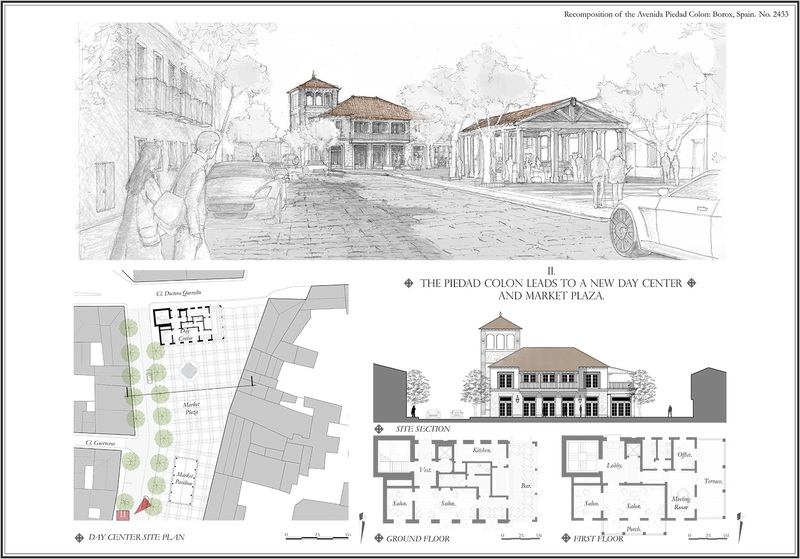 Patrick Alles, Matthew Blumenthal and Megan Zhang propose to transform two of the main public buildings of the town, the retirement home and the municipal library, in order to create a harmonious integration with the rest of buildings in the area, The project “Uniting the City” relocates the new home for the elderly on the edge of the main avenue, extends the existing green spaces and creates a new indoor space on the center of the new park. 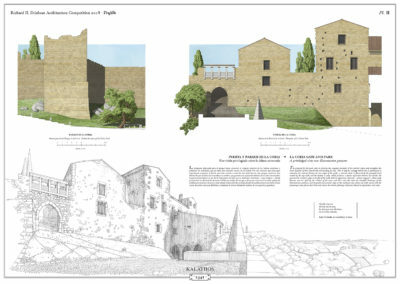 In the case of Trujillo, Basque architects Imanol Iparraguirre and Aritz Díez, winners last year of the first prize with their proposals for Grajal de Campos, have submitted their project “Kalathos” to add value to the environment of the wall through a new construction in the area: a building around a patio according to the best architectural qualities of the town and which provides a connection between the Plaza de los Moritos and the Convento de La Coria though a new public thoroughfare. 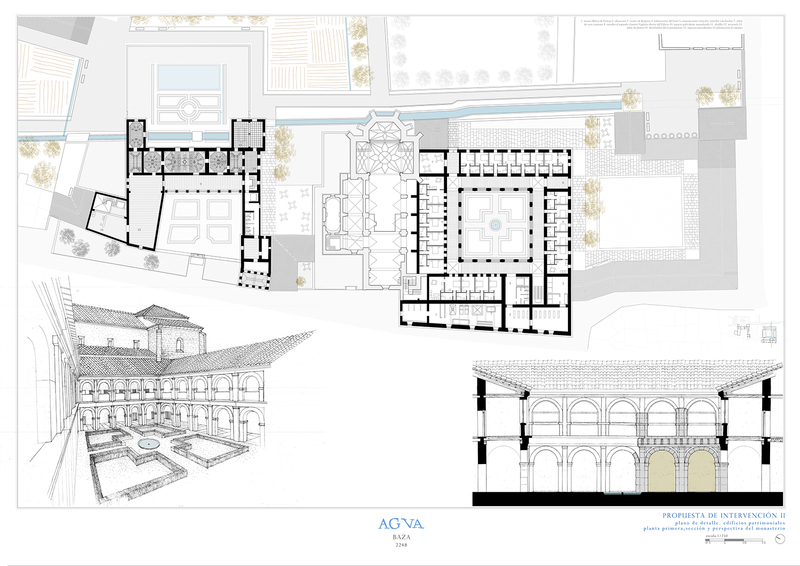 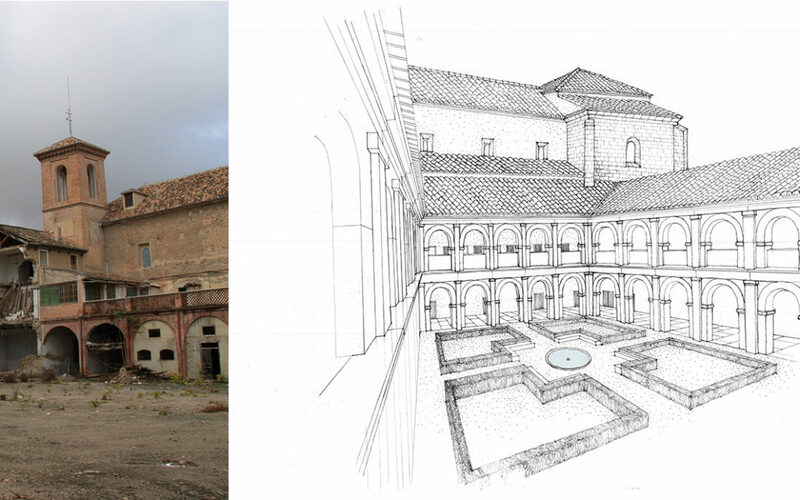 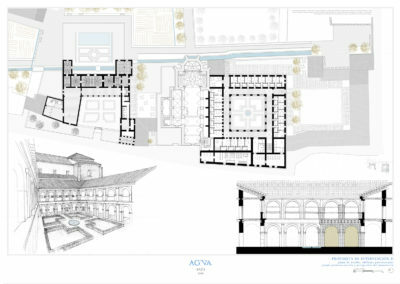 On the other hand, the Baza project, a design of the Madrid-based team of architects Estefanía Fernández-Cid, Xavier and Lucía Espinós and Rodrigo Toro, called “Agua”, includes the transformation of the cloister of the Convento de San Jerónimo and its rehabilitation as a hotel, and the recovery of the Palacio de los Enríquez and its gardens, and the construction of buildings more in line with the identity of the city at the foot of the existing orchards. 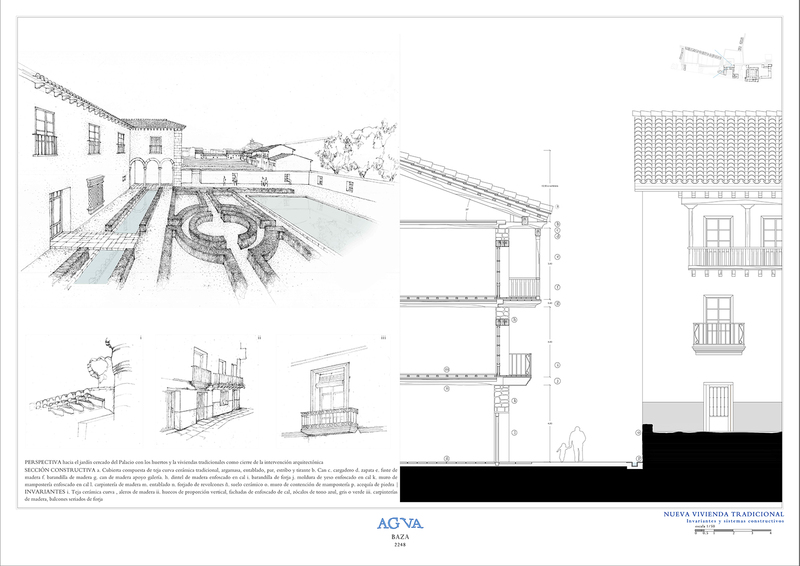 This project is mainly based on water as a resource, reflected on the Caz Mayor and the orchards’ irrigation canals, around which a nice promenade is created. 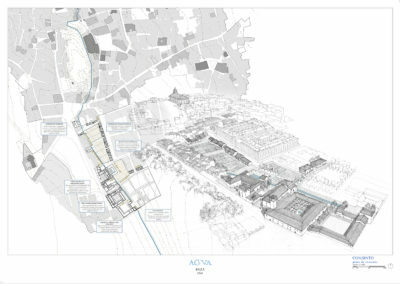 Exceptionally, Jaca submitted a new bid to the competition after its project was not awarded last year. 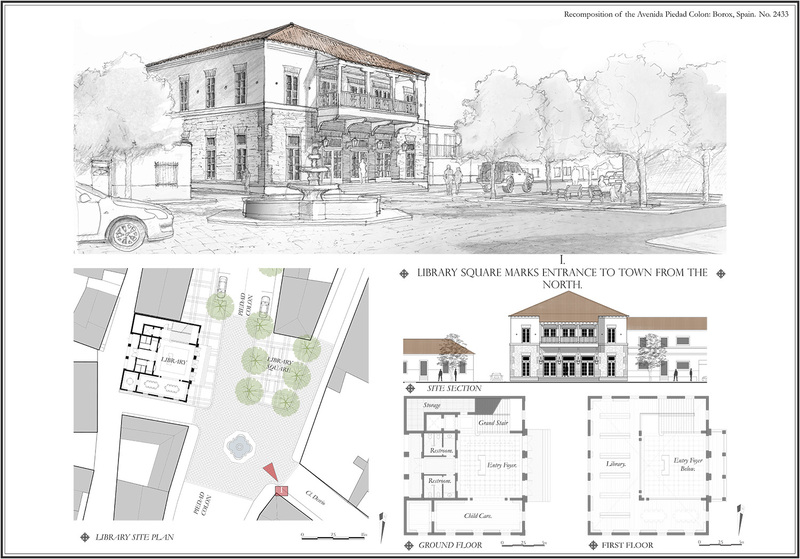 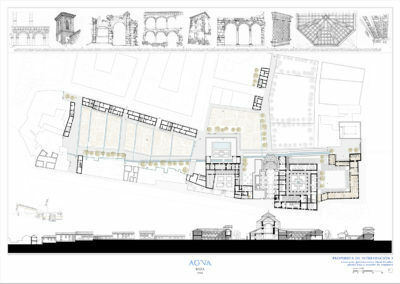 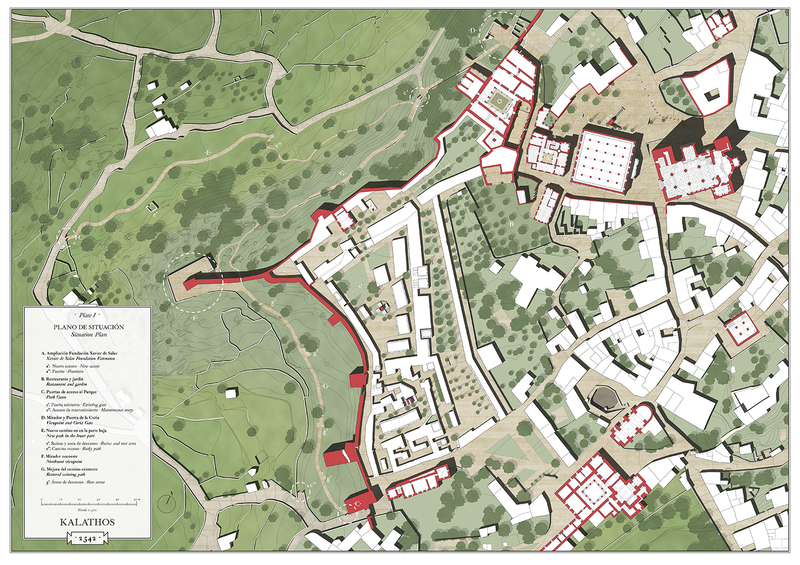 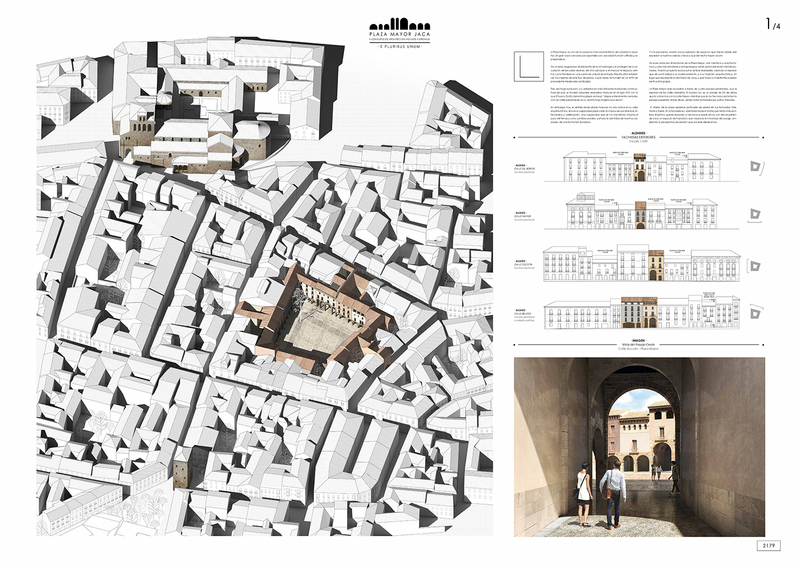 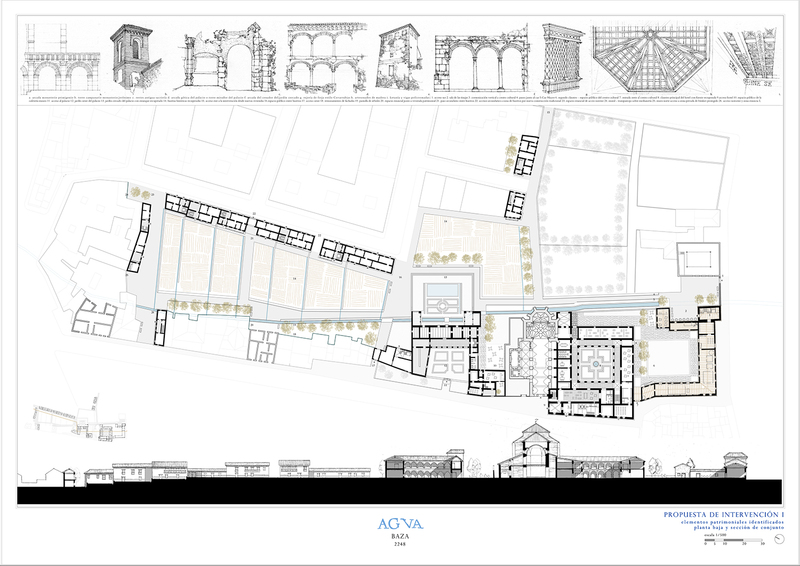 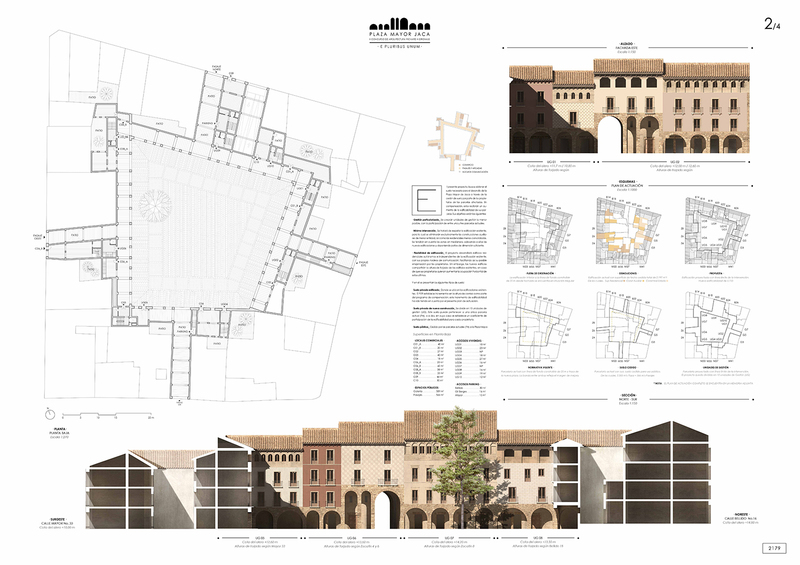 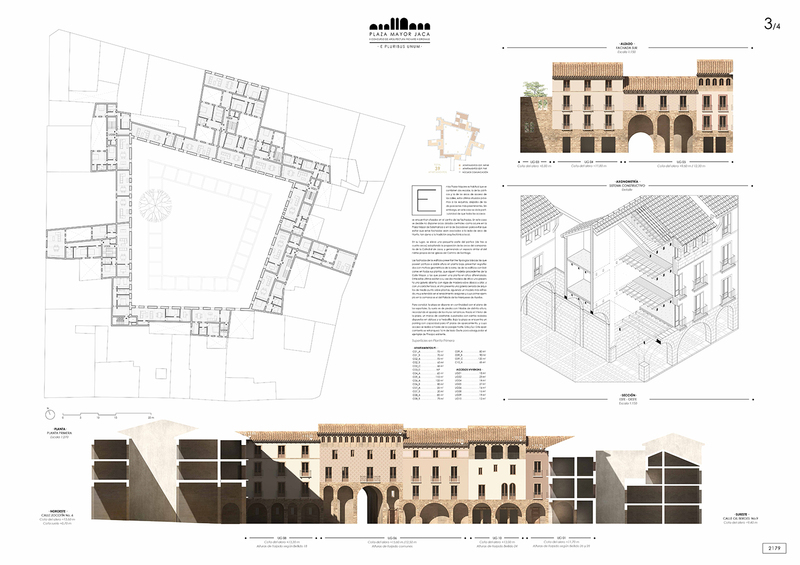 The winning proposal of the creation of a new Main Square in the historical city center corresponds to the project “Pluribus Unum” by Seville-based architects Abelardo Linares del Castillo and Elena Jiménez, who propose a new civic space that pays special attention to the facades of the new square, bringing light to the open passages to connect it to the nearby streets. 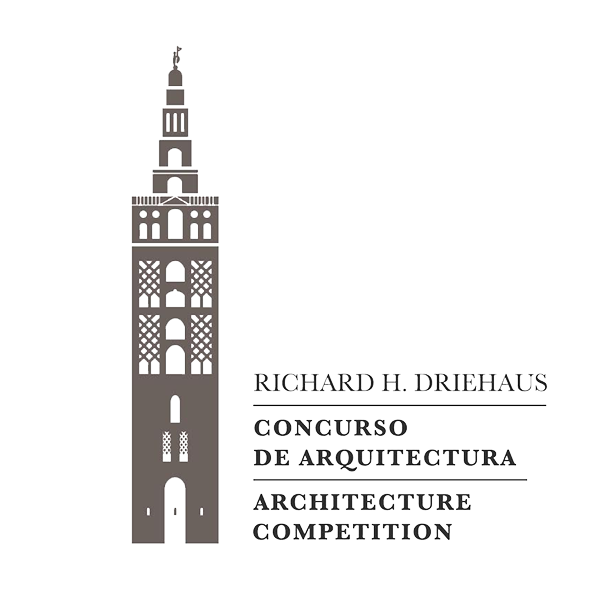 Richard H. Driehaus Architecture Competition has awarded 66,000€ in prizes. 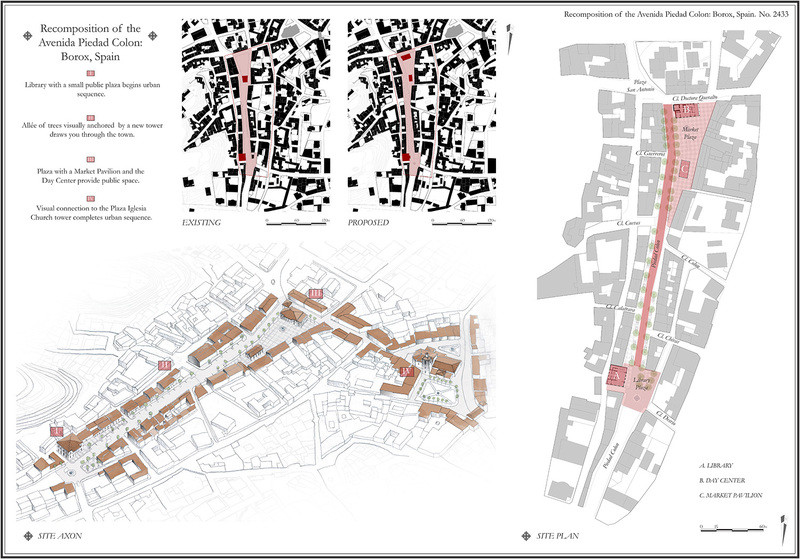 The jury is composed by representatives from the Spanish Ministry of Public Works and Infraestructure, the Ministry of Education, Culture and Sport, the Council of Architecture Institutes of Spain, INTBAU (International Network for Traditional Building, Architecture and Urbanism), the Rafael Manzano Prize and the city council of the four towns, who judged the quality and feasibility of the 74 projects submitted. 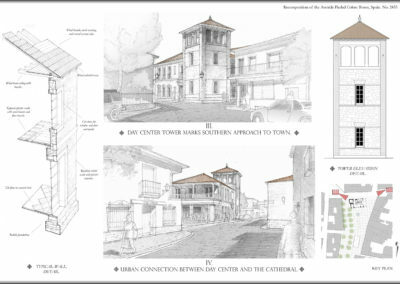 The Prizes will be awarded on June 13 at a ceremony to be held at the Ministry of Public Works and Infraestructure. 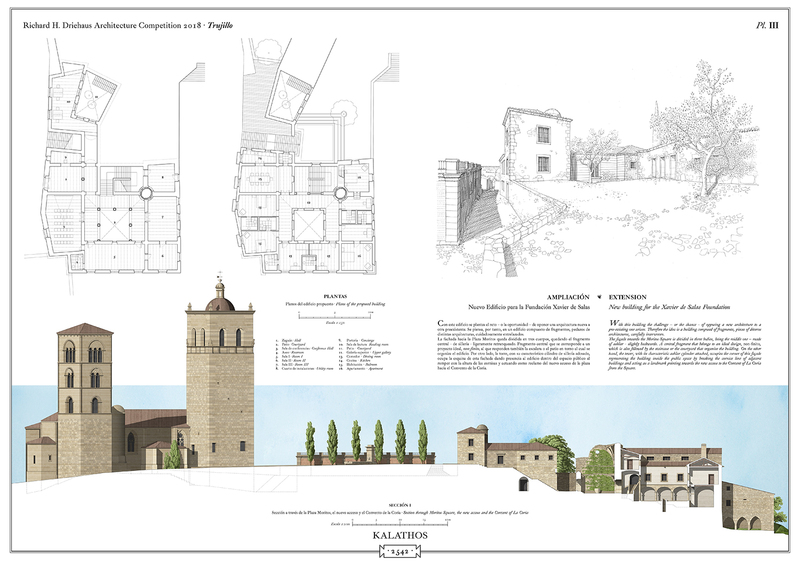 They will be part of an open exhibition at the Arquerías de Nuevos Ministerios from June 13 to July 29. After that date, the annual call for projects will start on its first phase, so that all the locations interested can send their bids before the deadline of October 2. 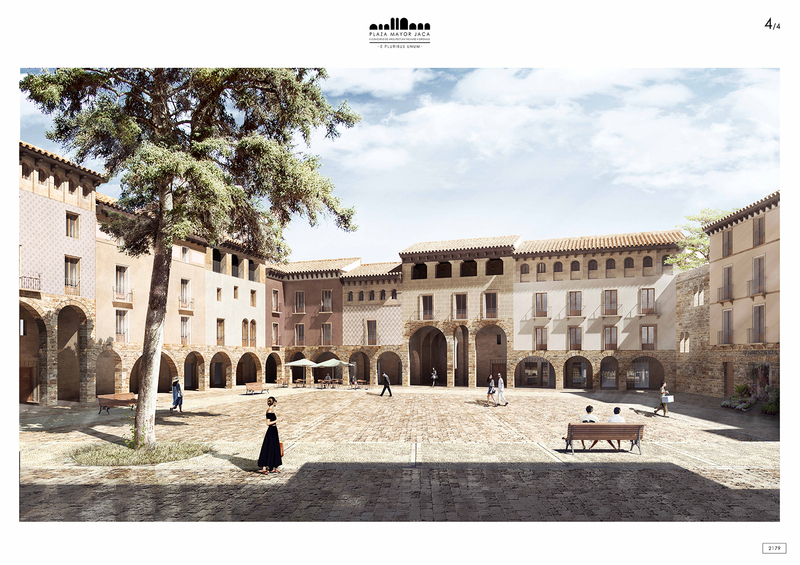 A partir de este momento, se abre de nuevo la convocatoria anual de la Primera Fase del Concurso, para que todos los municipios que estén interesados en enviar su candidatura puedan hacerlo hasta el próximo 2 de octubre.